Four great books from modern cuisine masters coming soon! How would you like to get an inside peek into some of the best modern cuisine restaurants in the world without even leaving your house? Now you can; four of the top chefs on the planet have written books detailing their philosophies, their histories, and the circumstances that brought them to where they are today. We’re going to tell you a bit about each chef and the restaurants that they command, as well as fill you in on when and where you can pick up their books. Rene Rezepi is chef-owner of the 2-Michelin-star restaurant, Noma in Copenhagen, Denmark. The clean flavors and inventiveness that he brings to Nordic cuisine earned Noma the title of “Best Restaurant” on the San Pellegrino World’s 50 Best Restaurants List for three years running: 2010, 2011, and 2012. This book is a 3-volume follow-up to James Beard Award-winning Noma: Time and Place in Nordic Cuisine. The first book in the Work-In Progress trifecta is a cookbook containing 100 recipes from Noma. The second is a deliciously designed pocket photo album containing candid snapshots of the award-winning master of modern cuisine and his team. 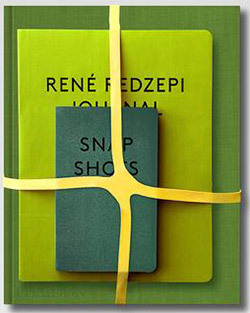 Finally, Chef Redzepi shares his creativity, methodology and some of the secrets of his success in a personal journal. Available November 11, 2013, A Work in Progress: Notes on Food, Cooking and Creativity is a must-have addition to your culinary library and will also make a wonderful gift for the foodies in your life. You may preorder it now in order to ensure your purchase. The San Francisco Bay Area is thick with incredible restaurants and star chefs but none focus on the terroir of the northern California coast like James Beard Award-winning chef David Kinch does at his European-influenced Manresa Restaurant. Closing the gap between farm and table, Manresa has an exclusive partnership with Love Apple Farms that provides nearly all of their produce year round using sustainable methods. Chef Kinch celebrates these ingredients with modern cuisine techniques to create a menu that changes based upon what’s fresh, right now. Chef Kinch partners with Executive Editor of Bon Appetit Christine Muhlke and world-renowned James Beard Award-winning French chef Eric Ripert in Manresa: An Edible Reflection to share his methods of building a dish. He draws upon more than 30 years of working experience and world travel to create modern cuisine that reflects his creativity and expresses the emotion that he pours into each plate. Manresa: An Edible Reflection will be available October 22, 2013 and is available now for pre-order. 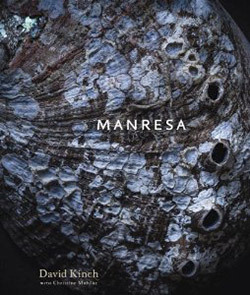 The cookbook offers a tasty blend of techniques, ideas, and the inspiration behind the creation of the food of Manresa and reflects upon how the restaurant’s integral connection to land and sea makes it what it is. At D.O.M. Restaurant in São Paulo, Brazil, Chef Alex Atala uses Italian and French culinary techniques on traditional Brazilian ingredients to create brilliant modern cuisine. The restaurant’s mission is to use such ingredients as acai, tucupi and jambu to highlight the flavors of Brazil. It was named the 6th Best Restaurant on the 2012 San Pellegrino World’s 50 Best Restaurants list, and made it there because Chef Atala doesn’t take the easy way out. He uses every ingredient to link culture to nature using modern culinary techniques and a genius that’s rarely found except in the world’s top chefs. In D.O.M. 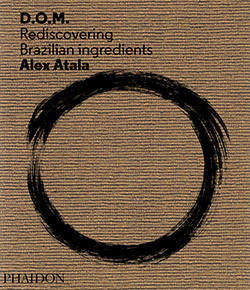 : Rediscovering Brazilian Ingredients Chef Atala shares the thoughts, ideas and ideology that help him to create his uniquely Brazilian dishes. It will be available September 17, 2013 and can be pre-ordered now. Any food lover with an interest in Brazilian cuisine will consider this cookbook a must-have. Coi Restaurant opened in the San Francisco valley in 2006 and has since earned 2 Michelin stars under the guidance of chef-owner Daniel Patterson. Using fresh, local produce and proteins, house-made ingredients, and a personal, emotional approach to cooking, Coi serves innovative modern cuisine in a friendly neighborhood atmosphere. The food is emotional and Chef Patterson’s focus is on aesthetics and other senses as much as flavor because all are integral to eating. For example, guests may be asked to rub grapefruit oil on their hands in order to heighten the culinary experience. 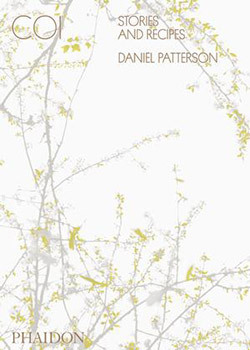 In Coi: Stories and Recipes, Chef Patterson includes 70 of Coi’s best recipes as well as his philosophy behind each dish. Each recipe is presented with a combination of personal essays that explain the dish as well as narrative recipes that explain the technical aspects of its creation. You’ll also learn about his philosophy on cooking and food as he shares the journey that brought him from the East Coast and led him to develop the personal relationship with Northern California and its bounty that inspires him. Coi: Stories and Recipes will be available October 14, 2013 and can be preordered now. If you’re interested in learning molecular techniques that make eating a total sensory experience, you’re going to love this cookbook! Whether you’re interested in traditional Brazilian food with modern twists, American cuisine that uses all of your senses, or food that exemplifies the connection between land and culinary brilliance, there’s a cookbook coming out for you. 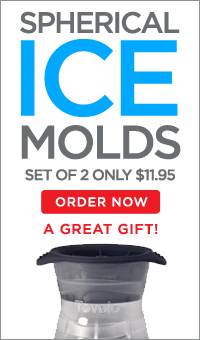 Preorder now so that you’ll have them as soon as they hit the shelves!